Published by the Statesman-Examiner, Colville, WA, 1986. Pictures, illustration, and maps. 130 pages. 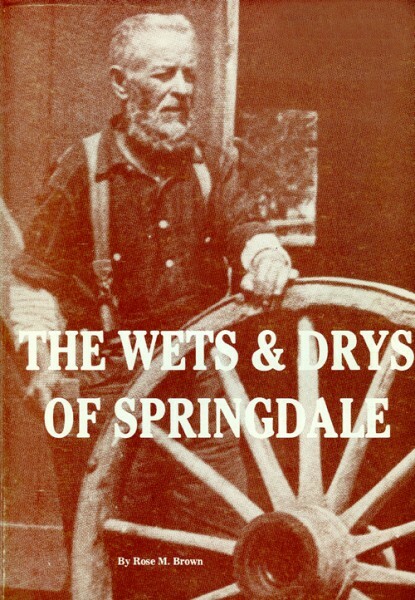 A chronological history (1886 to 1986) of Springdale. Stories and recollections of the people who lived there and many of the events of this small town – once the hub of the early day industries. Genealogical Name Index and many pages of names: WWII Roll of Honor, Postmasters, Grand Marshalls in Frontier Days Parade, Women’s Club members, Springdale Cemetery, Graduating students 1928 – 1985, Bibliography.